Mobile voice app Fring sparked a war of words with Skype this week, claiming that the VoIP service was "refusing to allow Fring to restore connectivity to Skype." In a vitriolic statement, Fring said that: "Skype's anti-competitive ambush comes in the wake of Fring's mobile video calling on iPhone 4 launch, which continues to set the standard in rich mobile internet communication." Not one to wait by the wayside and watch its name sullied by a competitor, Skype has contacted TechRadar to explain its side of the story and try and clear up some of the statements that have been reported. 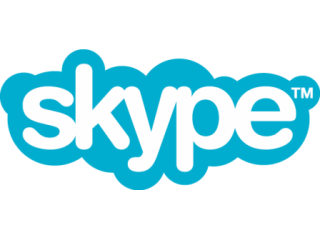 "Skype is disappointed that an amicable resolution was not possible. There is no truth to Fring's claims that Skype blocked them, it was their decision and choice to withdraw Skype functionality." The statement continues: "Skype encourages openness and supports developers to build products that work with Skype in accordance with our various API licences. "In this case, Fring violated Skype's terms by misusing the Skype software in ways which it was not designed for and which does not scale to meet consumer demand." Leaving the hardest punch for last, Skype also explains: "Just this past weekend Fring had to pull down Skype support for their iPhone video client which further damaged the Skype brand and disappointed consumers yet again. "Skype will rigorously protect its brand and reputation and those companies that do not comply with our terms will be subject to enforcement." Skype has been in the VoIP business since 2003, Fring in the mobile business since 2008. It will be interesting to see which company saves face in what is turning into a rather messy split.